“It’s the most won-der-ful time of the year,” the song says. The holidays are upon us. Thanksgiving is one week away. Rehearsals for Christmas programs have been in full swing for months now. Life is busy and hectic and festive! Unless you’re a minister who’s been ousted from your church. If this is the first holiday season since you were terminated or forced into retirement, I am deeply sorry for the pain you feel. It’s not easy and it’s not right. For the first time in years, you have no music to learn. No rehearsals to direct. No sermon to prepare. No parties to attend. Ah, the parties. Before we were ousted from our church, our calendar from mid-November through the end of the year was booked solid. There was a choir party, staff party and the deacons’ Christmas dinner (do deacons ever have parties?). On top of that, every Sunday School class had a party to which we were invited. Our calendar quickly cleared, however, after we resigned. For the first time in over 30 years, we assured our extended families that we would be home for the holidays. After all, we had nowhere else to go. Be intentional about the music you listen to. A lot of holiday music is sappy and sad, especially secular music. For many years after we left our church, I could not listen to any music that included hand bells because it reminded me of the bell choirs I had played in throughout our ministry. Instead of mindlessly turning on the radio, I had to carefully choose the music I listened to. One year I discovered the VeggieTales 25 Favorite Christmas Songs! Great stuff, no matter what your age. Be intentional about the movies and television programs you watch. 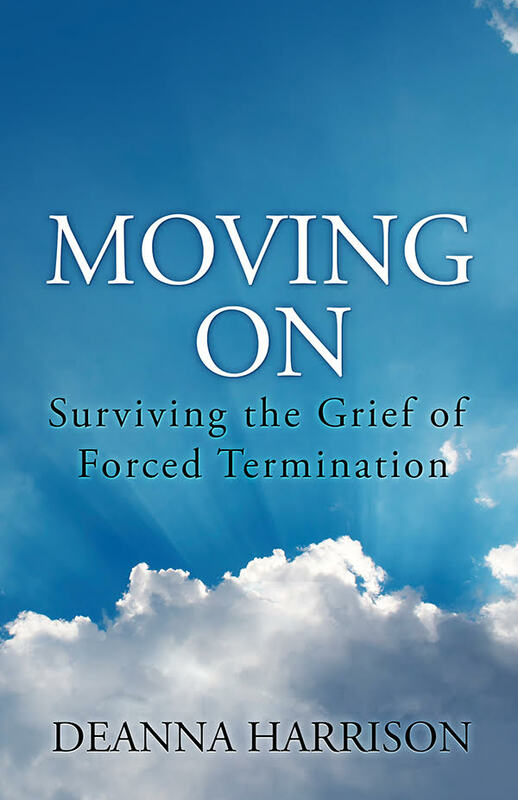 Like music, many can tug on the heartstrings too tightly and that’s the last thing you need if you’re grieving. Focus on who you have rather than on who you’ve lost. There’s no question that you’ve lost a lot. Many people whom you held dear are no longer a part of your life. You may feel that they betrayed you or, at the very least, let you down. And while you will have to deal with those feelings at some point, the holiday season is probably not the best time to do it. Focus your energies on your kids, your spouse, your parents, siblings, extended relatives and lifelong friends. Do whatever you have to do to get through the holidays. If you need to cry, cry. If you need to take more naps, snooze away. If you’ve baked goodies for church parties in the past, and if baking brings you joy, bake your favorite recipes and share them with the local police, firefighters or nursing home residents. 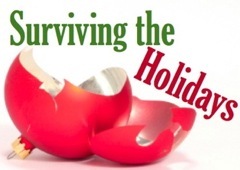 Do whatever it takes to help you survive the holidays. Use this year as an opportunity to start new family traditions. For starters, spend Christmas somewhere out of the ordinary. Getting away for the holidays has always been a challenge but not this year. This year you have the freedom to celebrate wherever and with whomever you choose. Continue any family traditions that will help you. Watching movies, playing games, drawing names for a gift exchange. If it helps to continue the tradition, then by all means, continue. But if the tradition is not helpful this year, consider setting it aside. Be honest with yourself and with others. If you don’t want to do something, say so. If you don’t have the emotional energy to decorate the house to the extent you’ve done in the past, that’s OK. Compromise. Do whatever you can and call it done. Don’t feel guilty. Whatever this holiday season holds, determine right now that you will not accept any feelings of guilt. If you get through the roller coaster of emotions and can still function in January, you will have succeeded. Recognize that holiday lights, decorations, overeating, endless parties and excessive gift giving are all things that our society has deemed important to the holidays. That first Christmas, however, was anything but festive. Mary and Joseph had their newborn baby and that was it. Other than the shepherds who dropped by, it was just the three of them. Theirs was a Christmas of poverty and uncertainty. 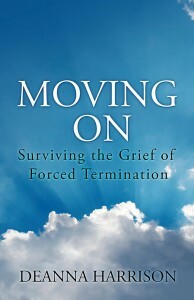 Remember that grieving is a process and it takes time. Lots of time. Give yourself two gifts this year: patience and gentleness. How about you? What suggestions do you have for a minister who is experiencing the holiday season for the first time since being forced to resign? I’d love to hear from you. What did you find helpful? Please leave a comment and share your ideas and a word of encouragement for those who are hurting during this holiday season.